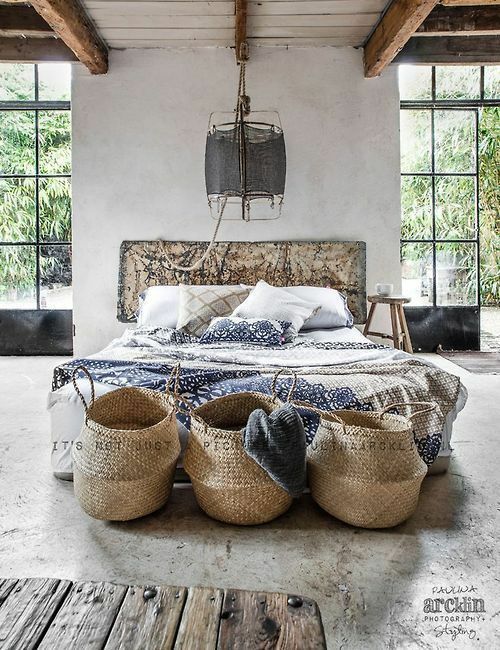 In today's inspiration, perfectly balanced tones and contrast in this stunning bohemian-chic interior! Spotted in this styling the Ay Illuminate cashmere and bamboo lamp, Bloomingville seagrass baskets and the Snowdrops Copenhagen elmwood stool used as characteristic side-table. Combine with soft linen textiles and high-quality plaids to get in perfect harmony with your room!